A 22-year-old man has been arrested for allegedly exposing himself to underage girls near a high school in San Jose between July and earlier this month, police said Thursday. In three separate cases between July 19 and Sept. 7, Jordan Cambray-Madrigal allegedly exposed himself to victims including a 14-year-old, two 16-year-olds and a 17-year-old near Yerba Buena High School at 1855 Lucretia Ave., according to police. Two of the alleged incidents happened while Cambray-Madrigal was in a vehicle, and police have released a photo of his car. 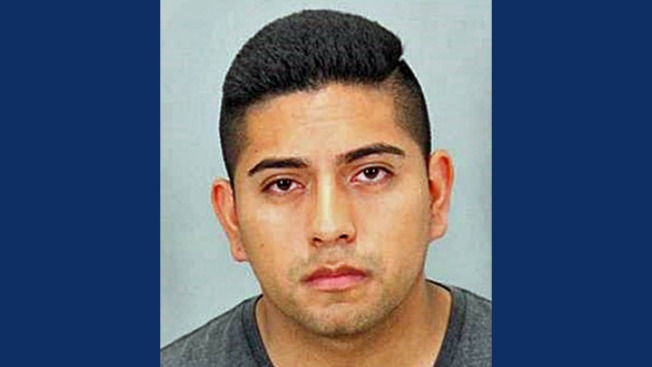 Investigators obtained an arrest warrant for him and on Sept. 7, he was arrested at a residence in Milpitas, San Jose police spokeswoman Officer Gina Tepoorten said. He was booked into Santa Clara County jail on suspicion of multiple counts of indecent exposure and annoying or molesting a child under 18, police said. Anyone with information about the cases or other incidents involving Cambray-Madrigal is asked to contact Detectives Mario Shen or Ken Muto of the Police Department's sexual assaults unit at (408) 277-4102.